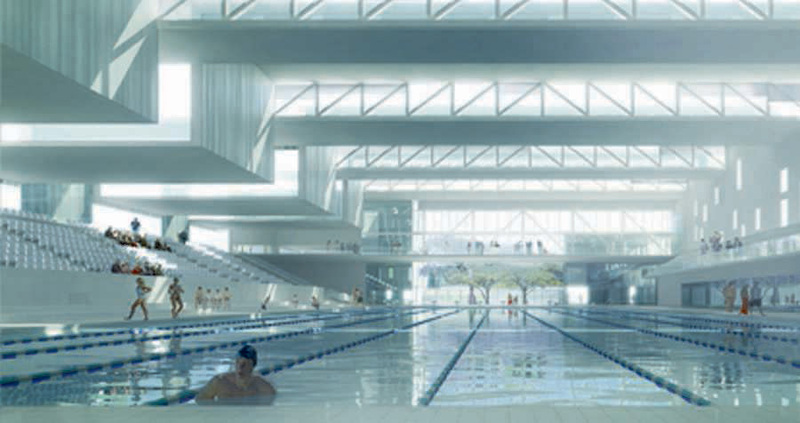 The most famous pool in recent years was the Water Cube for the 2010 Olympics. 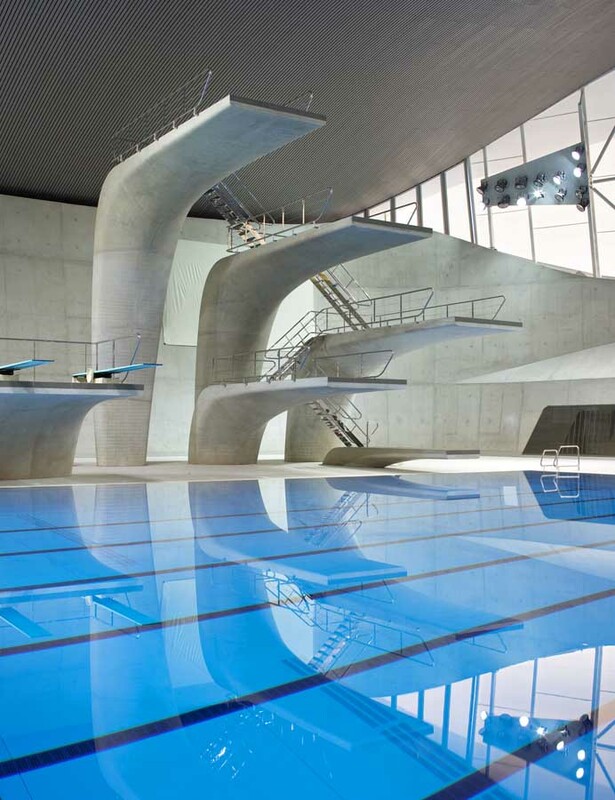 Naturally the Aquatics Centre for the 2014 Olympics will also be notable, though compromised in design. 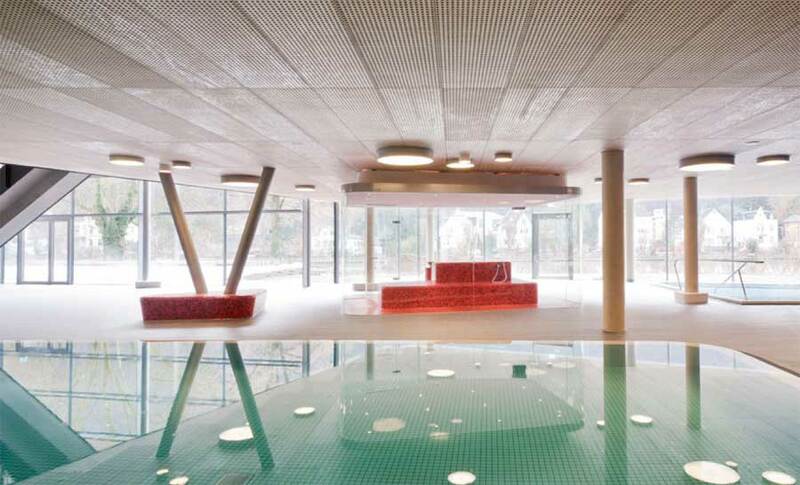 We’ve selected what we feel are the key examples of Swimming Pool Architecture. 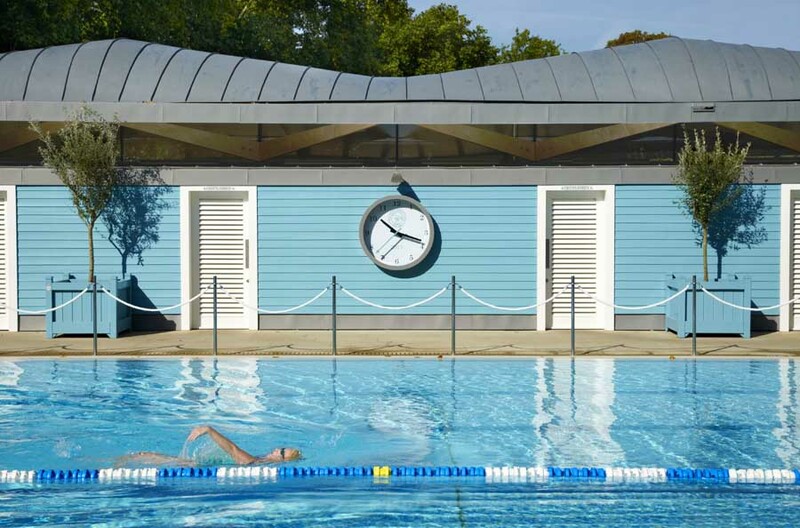 We aim to include Swimming Pool buildings / projects that are either of top quality or interesting. 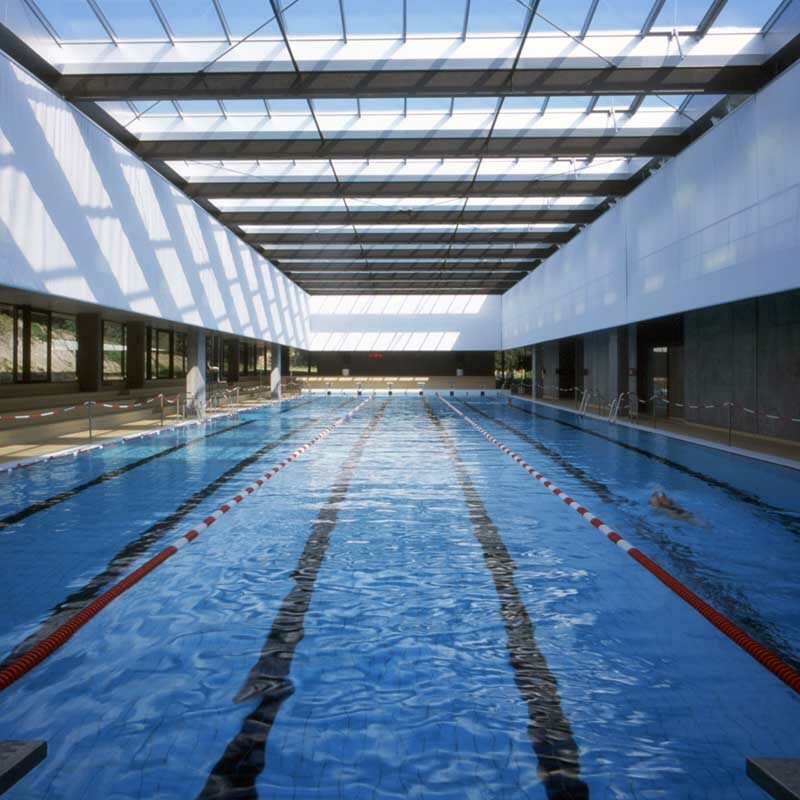 We cover completed Swimming Pool buildings, new building designs and architectural exhibitions. 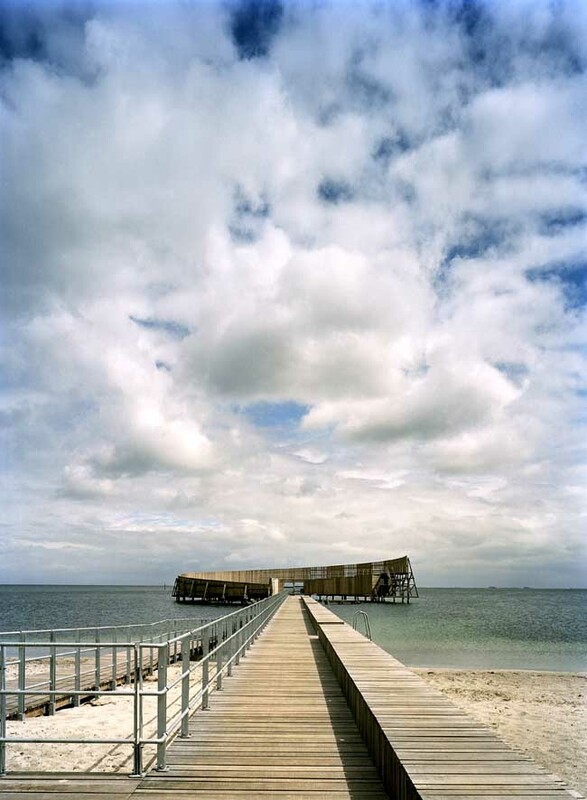 The focus is on contemporary Pool buildings but information on traditional aquatic buildings is also welcome. The architects describe this design thus: “although the principal dreamt for years of a swimming pool in his small garden, he chose to renovate his 17th century gentleman’s house first. While the contractors were about to start the works, the uninhabited school building, adjoining his garden, was offered for sale. The principal did not hesitate, works were stopped and the school building was bought. 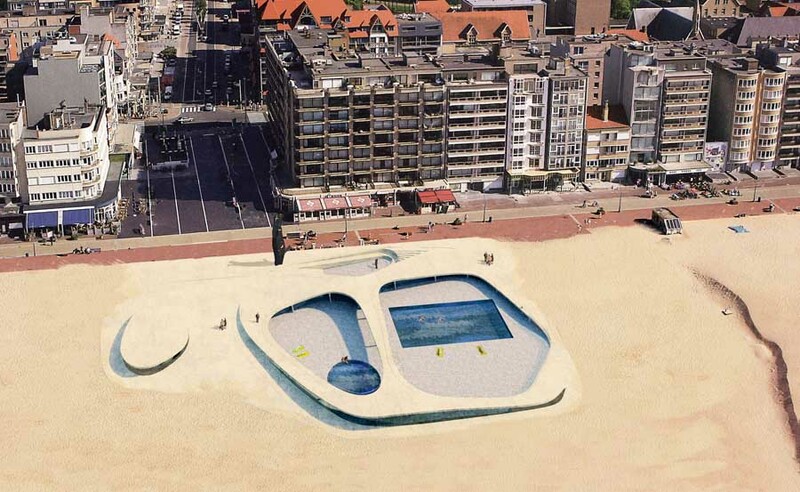 After many analyses and intense discussions it was decided to realise the swimming pool project first”. 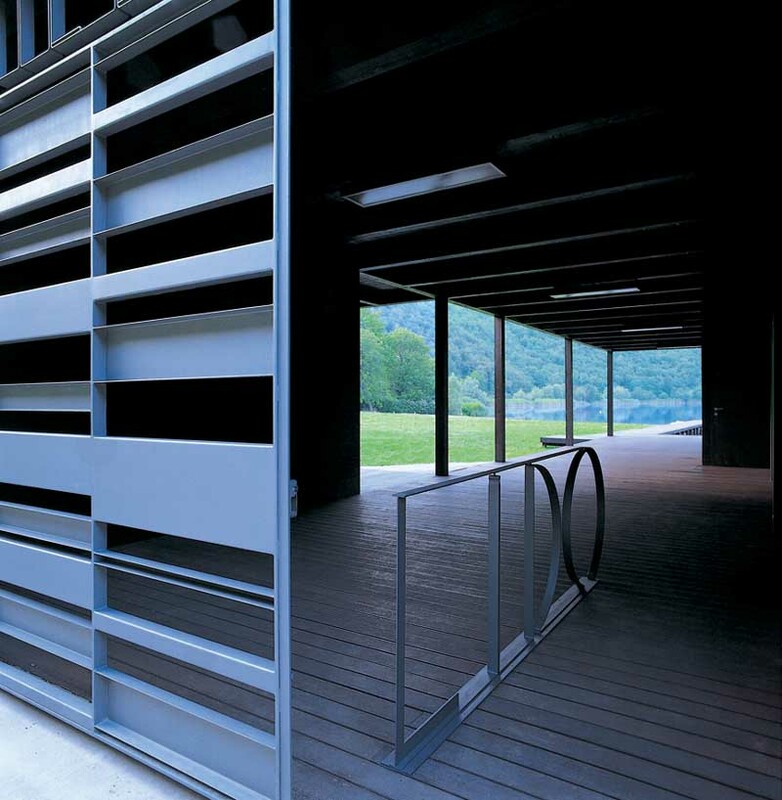 4a Architekten extend their bathing repertoire: The Bad Ems Thermal Baths proves itself with its distinct character and high standards of comfort. 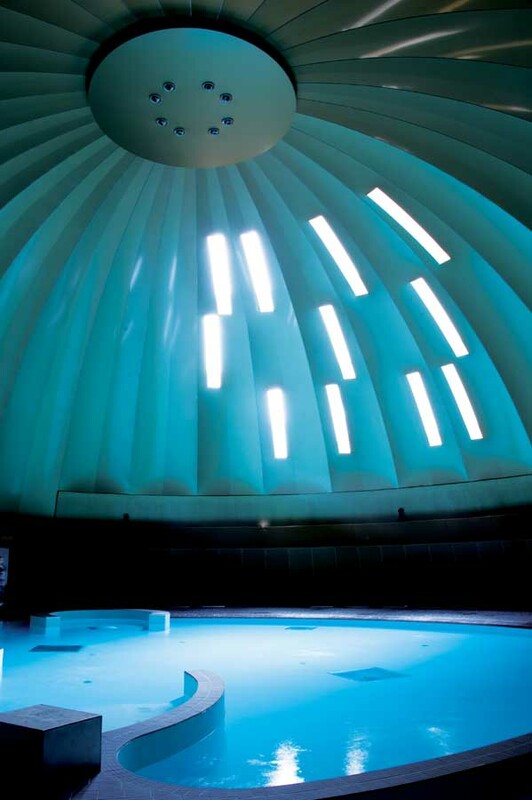 The Aqua Leisure Center in Val de Scarpe, Arras “puts a new twist on age-old pleasures, like a modern Tivoli”. 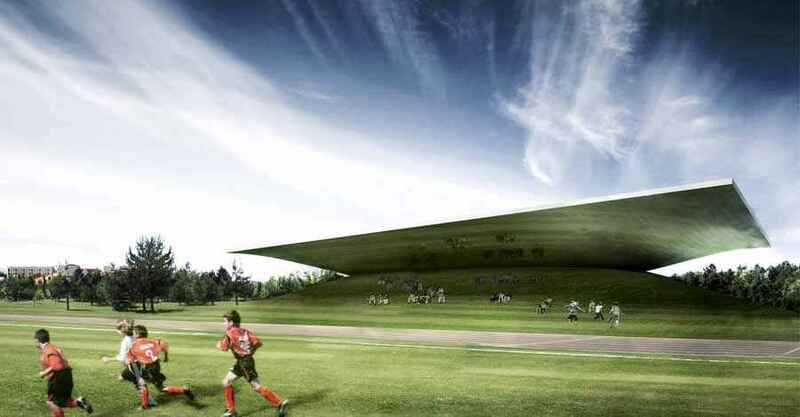 After Quimper, Béthune, Laon and Bordeaux, S.AREA Alain Sarfati Architecture presents Aquarena. 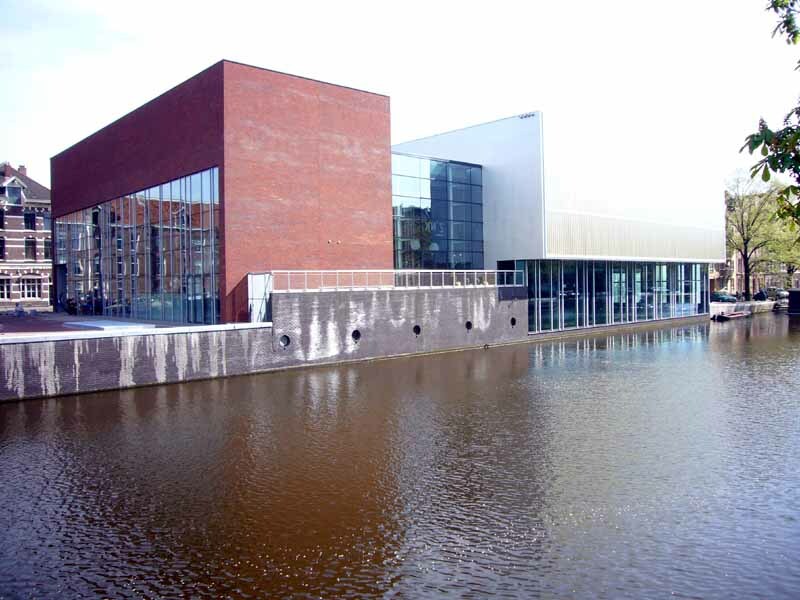 The building consists of three rectangular buildings joined up by a lobby. 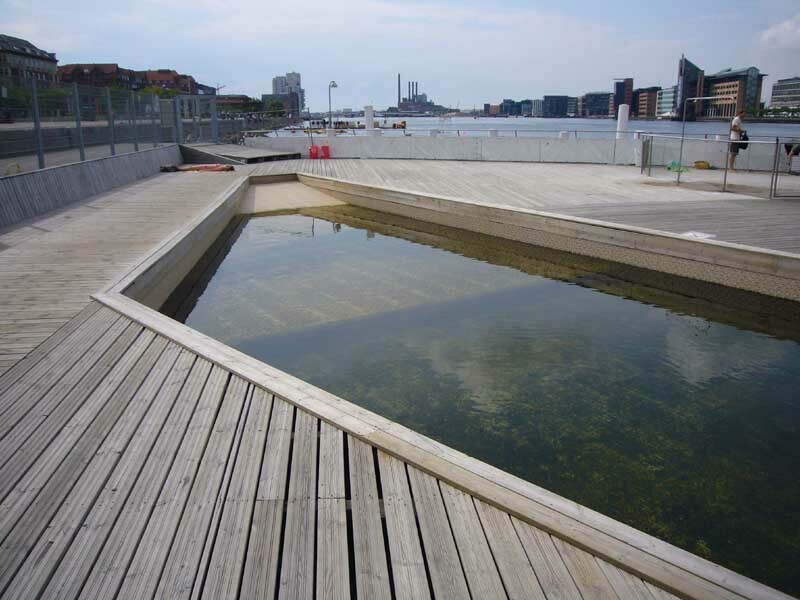 The natural environment is built around the swimming pool. 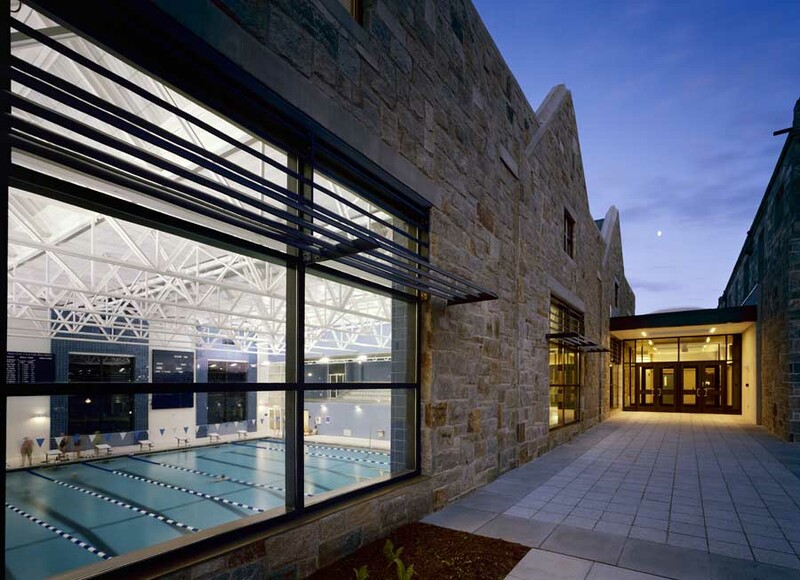 A lobby with access distributes the functioning spaces, towards the dressing rooms, with direct access to the pool and the other sporting spaces. 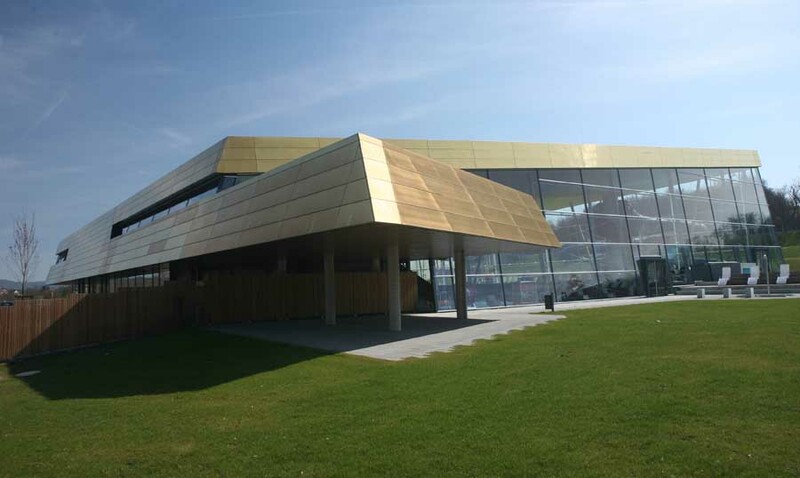 The new Syrdall Schwemm school and recreational baths in Niederanven has numerous attractions to offer, not only with its extensive range of bathing options – the sight of the distinctively designed building alone is food for discussion. 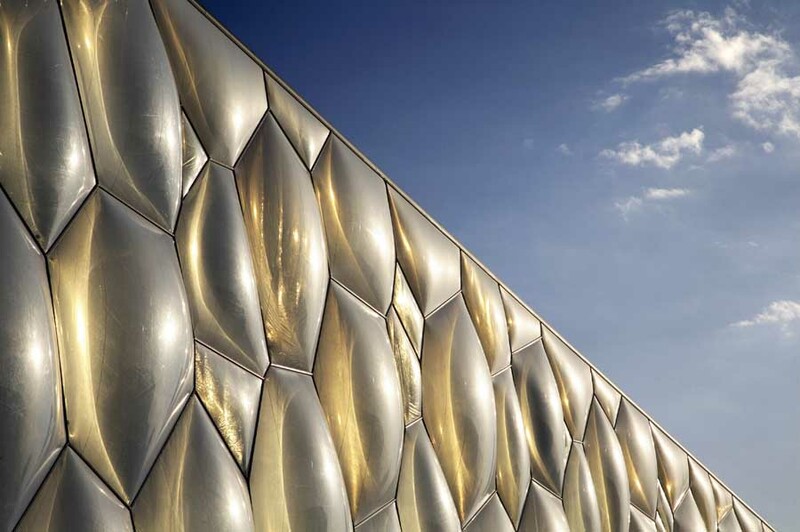 The architectural concept of the London Aquatic Centre is inspired by the fluid geometries of water in motion, creating spaces and a surrounding environment that reflect the riverside landscapes of the Olympic Park. 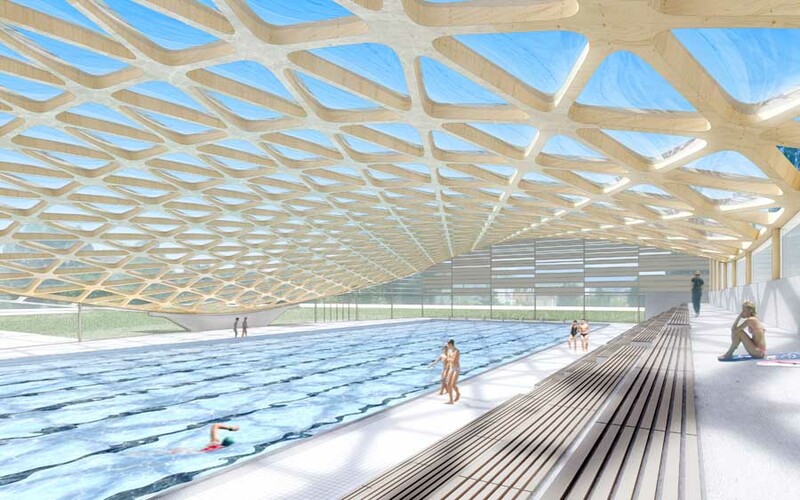 An undulating roof sweeps up from the ground as a wave – enclosing the pools of the Centre with a unifying gesture of fluidity, while also describing the volume of the swimming and diving pools. 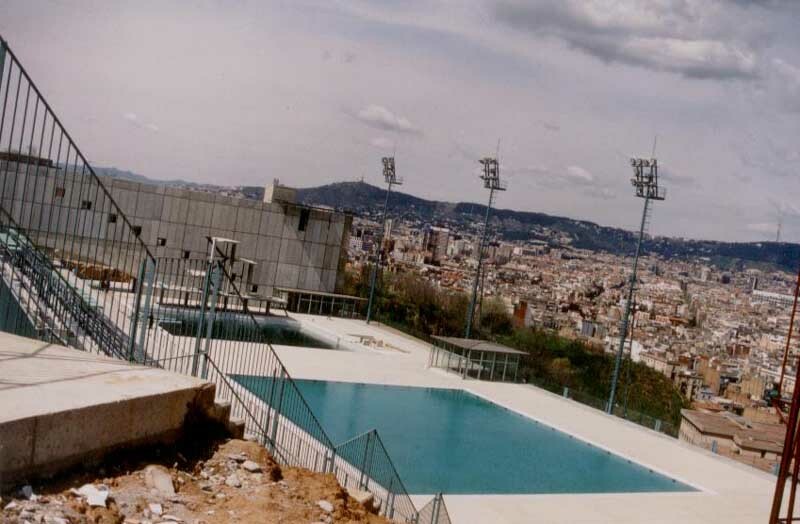 The Outdoor Pool was commissioned to replace a pool complex started 80 years ago, now dilapidated but still much loved by its members. 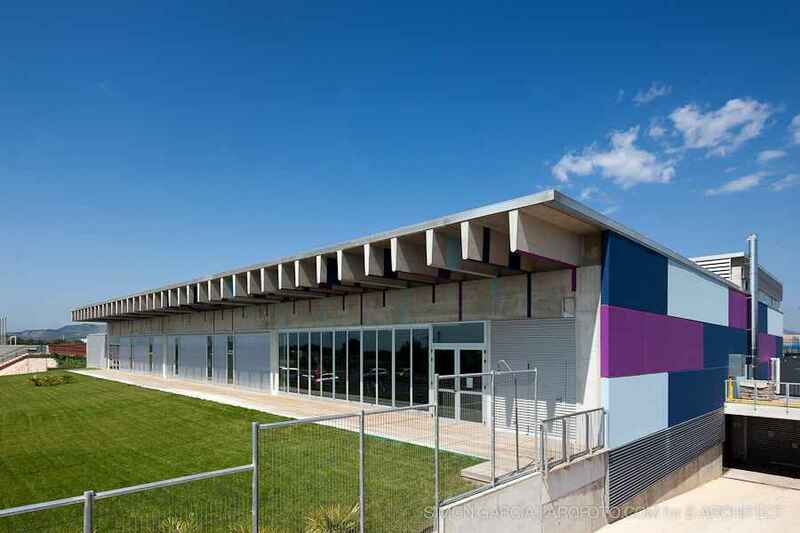 The new changing room building is larger than the original and adopts an elongated tear shape; it has long horizontal proportions, blue painted clap-board walls with white doors and pool accessories such as the large clock and life-saving rings. 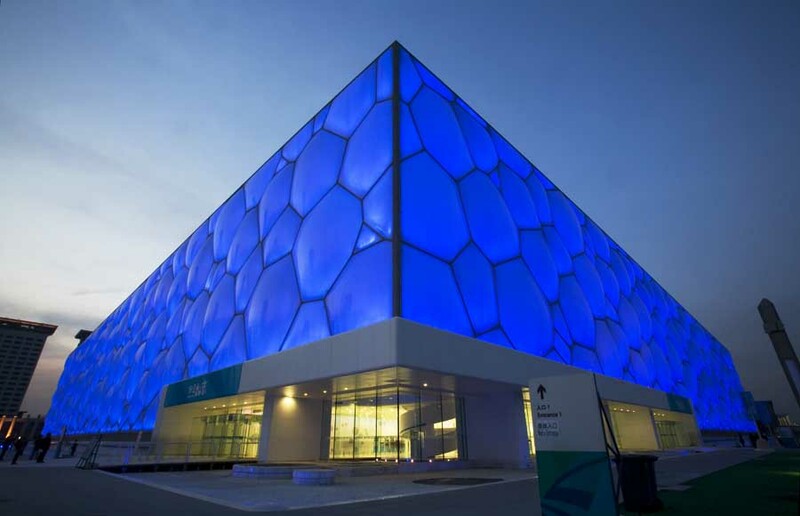 The National Aquatics Centre, also known as the ‘Water Cube’, will be one of the most dramatic and exciting sporting venues for the Beijing Olympic Games in 2008. 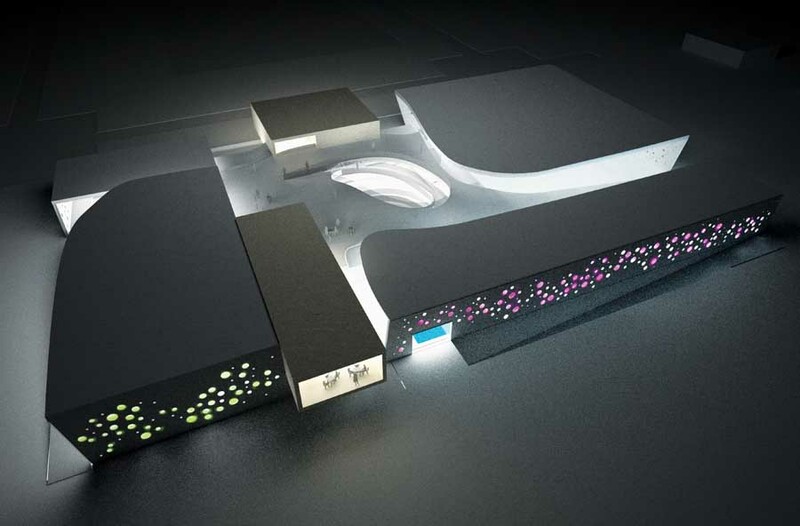 Enclosed within the blue bubble walls are five swimming pools, including a wave machine and rides and a restaurant, along with seating and facilities for 17 000 spectators.